Coordinated by New York State Library staff, "Ready to Read at New York Libraries" provided training and resources to develop research-based early learning services and spaces for families with young children. 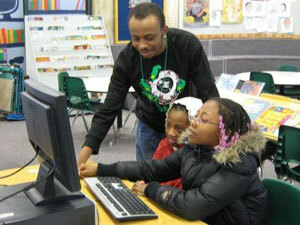 The five-year "Early Childhood Public Library Staff Development Program" was developed with the intent to train more than 1,200 public library staff. The program takes a cost-effective, train-the-trainer approach. The final training model and toolkits are easily replicable and will be shared nationally. This program was developed with a 2014 Laura Bush 21st Century Librarian Program Planning Grant from the Institute of Museum and Library Services. Partnership development and consistent use of outcome-based evaluation to assess program impact are key strategies for success. 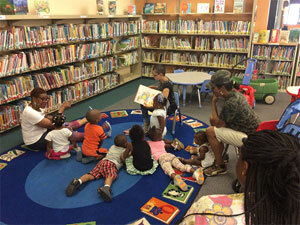 The New York State Library (NYSL)'s Summer Reading at New York Libraries annual project focuses three goals. The first is to improve literacy and academic performance by promoting reading. The second is to improve children's access to library materials and activities that encourage them to become lifelong library users and learners. 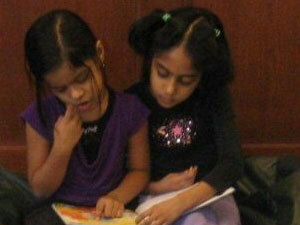 Finally, the program aims to foster a love of reading in young people through public library programs and services. The grant pays for dedicated NYSL staff, who coordinate and lead the program, and websites that provide access to program resources. NYSL is also a member of a national collaborative that creates the annual theme, program manual and slogans. Partners in recent years included 4-H, Hunger Solutions NY, New York Council for the Humanities, National Library of Medicine, NY State Reading Association, and the New York State Senate and Assembly. The New York Online Virtual Electronic Library (NOVELNY), supported through the New York State Library (NYSL), provides reliable, up-to-date information available only through database licensing/subscription. NOVELNY makes information available to all New York State libraries and allows all New Yorkers, regardless of economic, geographic or physical circumstances, to access to the same resources. The library community and the public were kept up to date on NOVELNY via its website, Facebook page, listserv messages (NYLINE), and fact sheets. The New York State Library also created a flyer delivered with Department of Motor Vehicle car registration and driver license renewals. This flyer was modified into a bookmark and posted on the NOVELNY website. Libraries can customize it with their library name. View the IMLS funding by state report - New York (PDF 1.04 MB) with additional information about all IMLS funding for this state (FY 2011 – FY 2016).